This afternoon, I totally freaked out to see my husband reading my blog. The worst part is he was reading my post about my Sony walkman and my high school crush. Then he kept interrogating me about my crush 10 years ago. He just stopped when we were watching the 21st Awit Awards. I can’t blame him the show was really good and full of celebrities. (I’ll blog the details later). 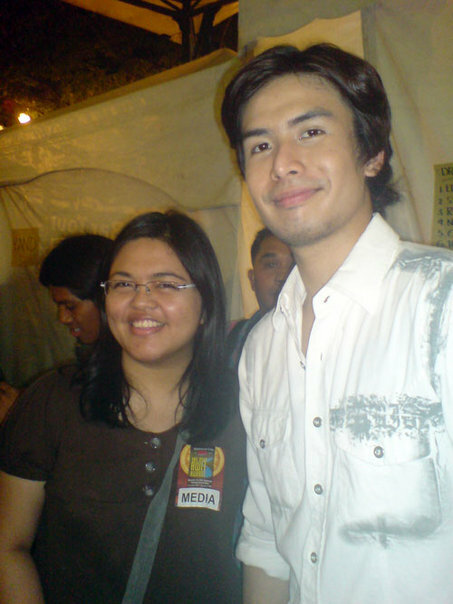 Anyway, after the show I had a chance to have a picture taken with my celebrity crush, Christian Bautista. I can’t really stop myself from smiling. Even my husband is teasing me. He knows I have a crush with Christian Baustista. Anyway, I have to get rest. I’m really really tired. I’ll blog the event tomorrow. Good Night!